I have had a long debate on whether the Brown Recluse is indigenous to Michigan or not. I would like to take this article to state all of the facts from both sides. 1) Entomologists have learned that the Brown Recluse cannot live in temperatures under 40 degrees. Since Michigan winters get so much colder than that for long periods, they could not possibly survive here in the outdoors. 2) I have only been able to uncover four confirmed sightings of the Brown Recluse in Michigan. By "Confirmed" I mean identified by someone who actually knows what they are talking about. The DNR mentions one sighting and articles from MSU Entomology department reveals three others. All but one have been traced to find the spider was brought to Michigan by someone who came back from a trip down south. 3) All of the entomologists I have spoken to, emailed with, or read articles by, have said the same thing. Michigan gets too cold for the Brown Recluse to survive. It is not indigenous to Michigan and doctors continue to frequently misdiagnose MRSA and other infections as Brown Recluse bites. 4) I have challenged my readers to show me some real evidence they live in Michigan. I have received links to the same articles I have mentioned. That is it. Many have stories of knowing someone who was bit by one, but cannot or will not supply me with a doctor's name and number, send me medical records or say who identified the spider. Most say they never saw the spider. 5) I have been sent hundreds of pictures from people asking me to help them identify the spider they saw. Not one has been the recluse. I have received a few Black Widows, but not one Brown Recluse. 6) I can find many maps on-line showing the regions in the USA where the Brown Recluse lives. None of them come close to Michigan. They reach the bottom edge of Ohio at best. THere are many articles stating that the Recluse cannot live in colder weather. I cannot find even one article by a reputable source that says the Brown Recluse lives in Michigan. Not one! Reasons to believe the Brown Recluse DOES live in Michigan. 1) There are a lot of stories about people who know people who were bitten by the Brown Recluse. 3) Of the four confirmed sightings, there was still the one that they never proved was brought in from a trip down south. When you put all of the evidence that the Brown Recluse does NOT live in Michigan together, it is overwhelming. 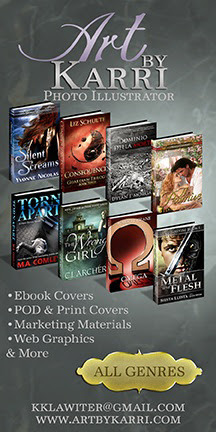 It is backed up by experts, and reputable sites. 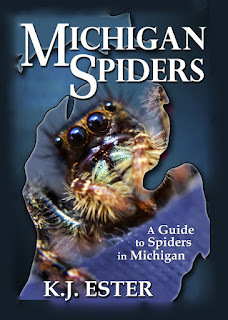 The evidence stating it does live in Michigan is underwhelming at best and for the most part, nothing more than a lot of second hand stories by people who do not know the Recluse from the Yellow Sac Spider, and Doctors misdiagnosing the bites. The truth is, the only chance of a Brown Recluse being in Michigan, is if it is brought here from someone who comes back from down south. The only way it could possibly survive in Michigan is if it is blown from a truck from down south, and makes its way into a house or building that is always heated. Yet, even on this very rare occurrence, the facts show that the Brown Recluse would not be able to spread out and survive our Winters. It would only survive so long as it stays in the heated building. With almost 10 million people in Michigan, and everyone knowing at least someone who was bit by a brown recluse, how is it nobody is able to show any real evidence? However reclusive the spider is, isnt the lack of proof very telling? I know that many of you know someone who was diagnosed as being bitten. Please tell them to get a 2nd opinion, or tell the doc the Recluse is not indigenous to Michigan and to check it for MRSA and other infections. If you have them around, send me a picture in the least. Send me a spider in a container (preferably dead). Please, send me evidence. Experts say it is not living in Michigan. I say it is not living in Michigan. Science says it is not in Michigan. Who will you believe? The experts, or the stories by those who do not know a lot about spiders? The Brown Recluse is the most misidentified spider because it is one of the most feared and there are several spiders that have some features that are similar. The most common ones to be mistaken for the Recluse is the Yellow Sac Spider, and a variety of the Fishing Spider. But truth be told, I have had people send many kinds of spider pics in, afraid they may be Recluse spiders. Believe me when I say, if they did live here, I would want to know so I could warn people and teach them how to deal with them. My site is about the truth and until people start showing me evidence they live here, I will be forced to continue to preach the truth as I see it, because the evidence is overwhelming that they do NOT live in Michigan. Thanks for sharing your thoughts. I appreciate your sincerity. When I studied in France, I didn't have an opportunity to share experience with anyone. Now I'm home and begin blogging again. Back at last..